For the second time, BIOCOM organised the Global Bioeconomy Summit with 800 bioeconomy, innovation and sustainability experts from all over the world. 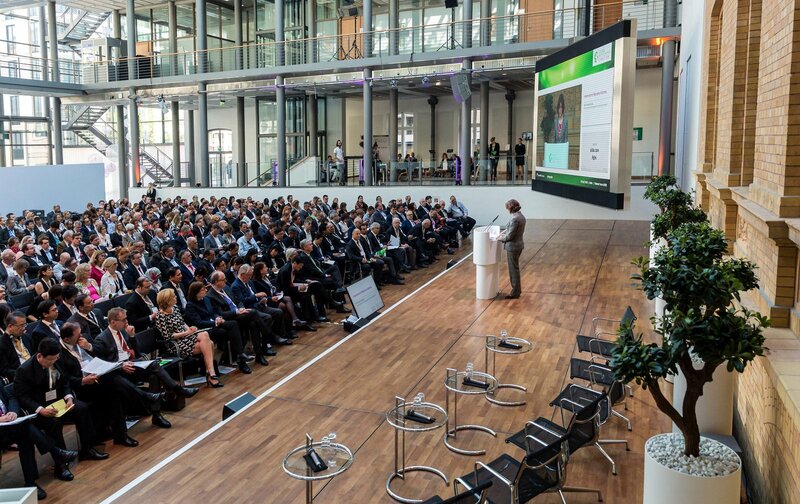 The event was hosted by the Bioeconomy Council of the German Federal Government. During the summit on 19 and 20 April, the focus was on the opportunities and challenges of an increasingly biobased, more sustainable economy. The summit was opened by Federal Research Minister Anja Karliczek at the Telekom Capital Representative Office. More than 100 high-ranking speakers spoke at the Summit, including ministers and government representatives from Asia, Africa, Europe, South and North America, international policy experts from the United Nations, the Organisation for Economic Cooperation and Development (OECD) and the European Commission, as well as high-ranking representatives of science and industry. “Globally, 50 countries have issued policy strategies related to bioeconomy development. Yet, the potential of the bioeconomy is still rarely discussed in international policy fora. What we need is a continued and, ideally, a more formalized international dialogue on bioeconomy. The Global Bioeconomy Summit has created a good basis for this,” said Christine Lang, Co-chair of the Bioeconomy Council, summarising the recommendations of the final communiqué. As part of the event, a World Exhibition on Bioeconomics showed how concrete products can contribute to global sustainability goals. Some 85 innovative bio-economy products from more than 34 countries, which are already produced today using bio-based processes and/or renewable raw materials, were presented.